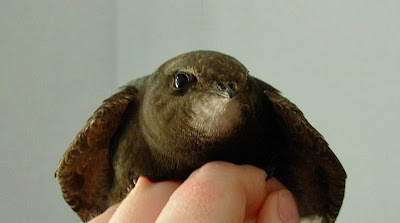 The Common Swift (Apus apus) is the most traveling bird ever; and it is the bird that spends more time flying. 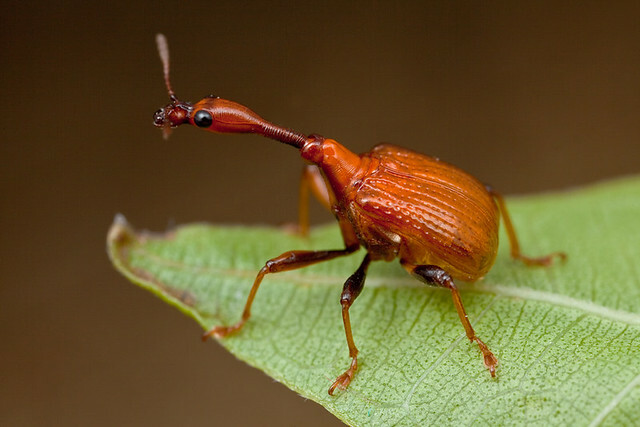 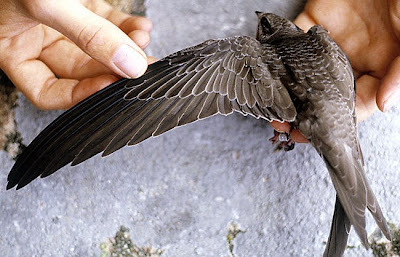 Their scientific name comes from the Ancient Greek words α "without", and πούς, "feet". ἄπους, apous, meaning "without feet". 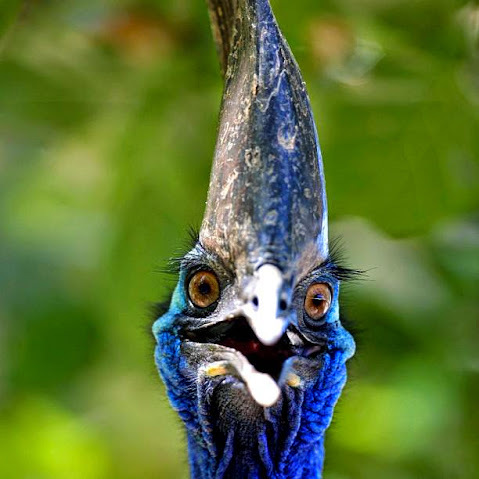 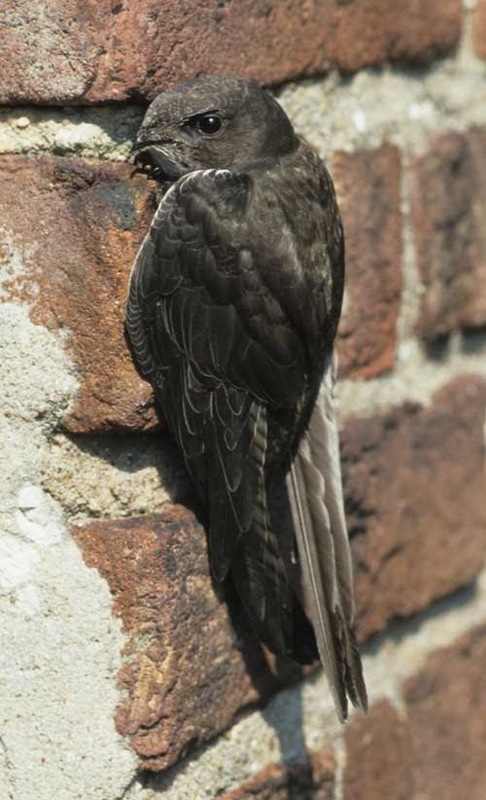 These birds have very short legs which they use only for clinging to vertical surfaces. They never settle voluntarily on the ground, where they would be vulnerable to accidents and predation. 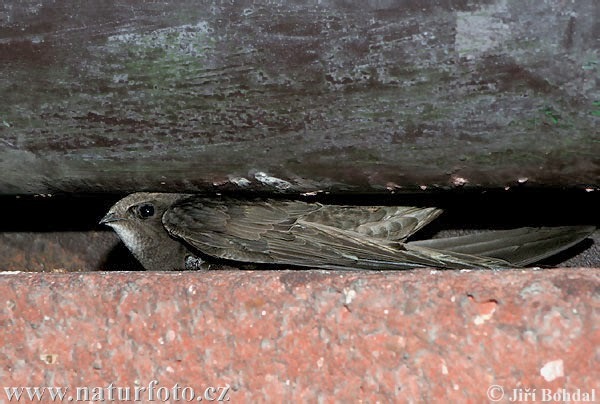 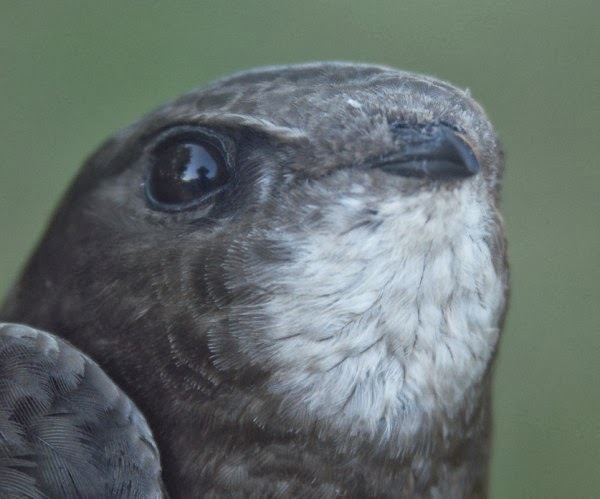 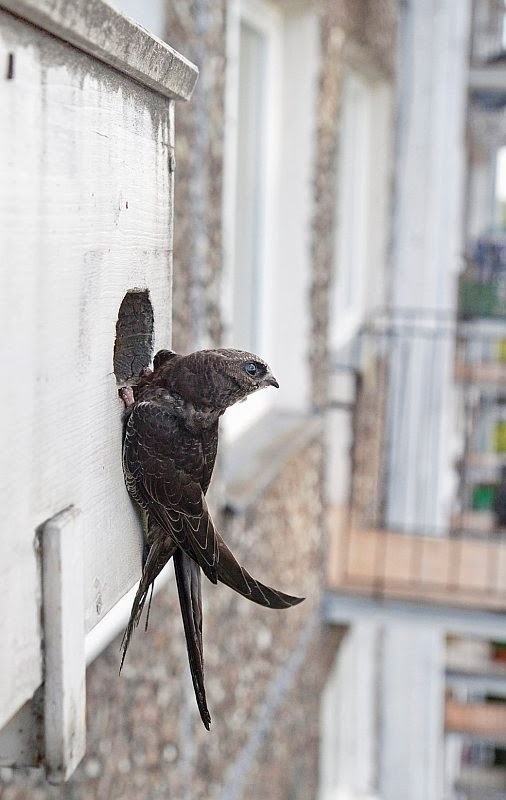 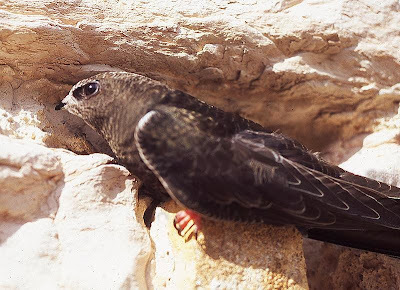 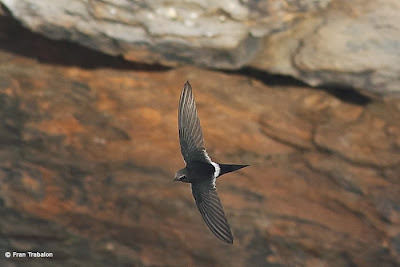 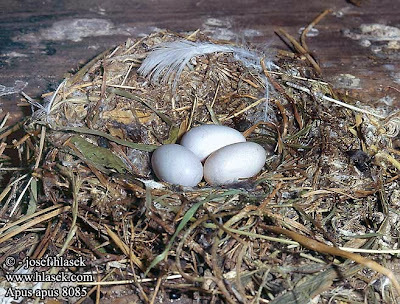 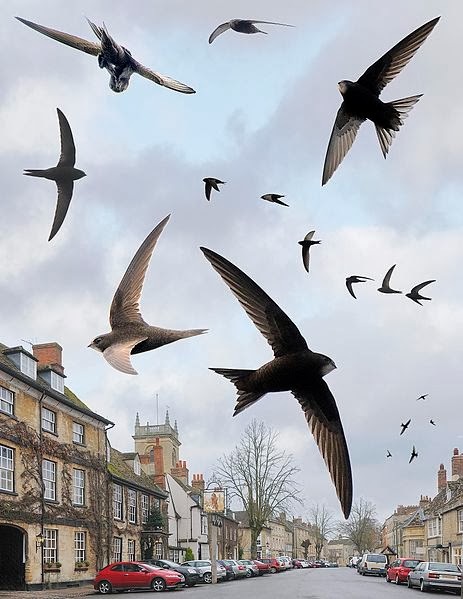 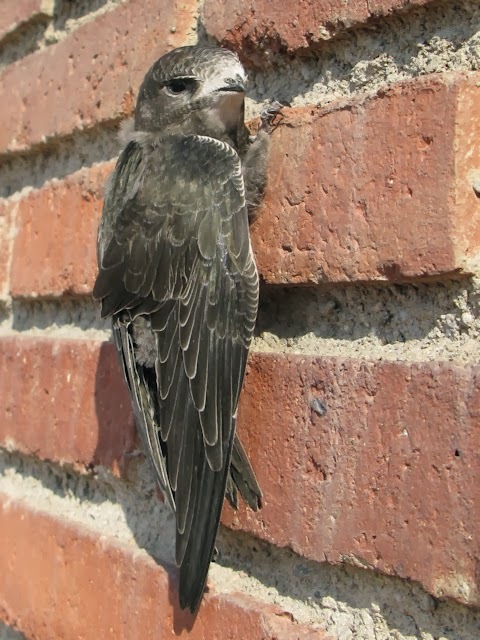 Swifts form pairs that may couple for years, and often return to the same nesting site and partner year after year, repairing degradation suffered in their 40 week migratory absence. 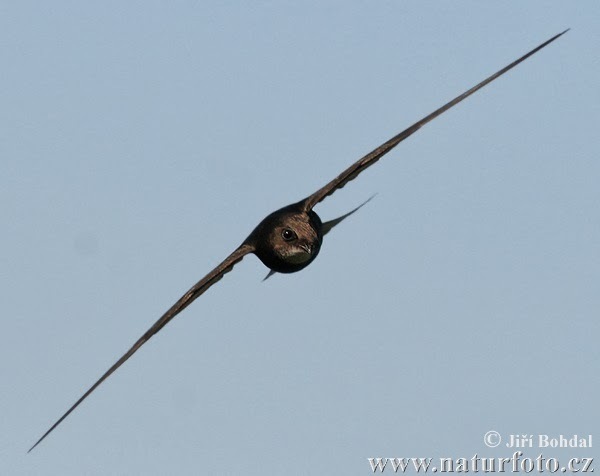 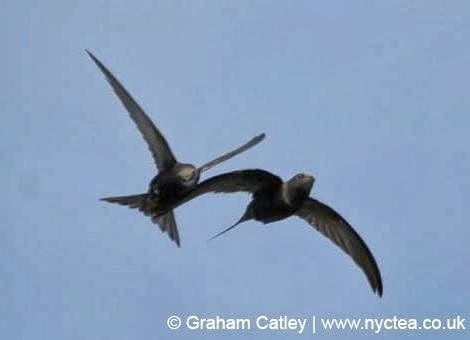 Except when nesting, swifts spend their lives in the air, living on the insects caught in flight; they drink, feed, and often mate and sleep on the wing. 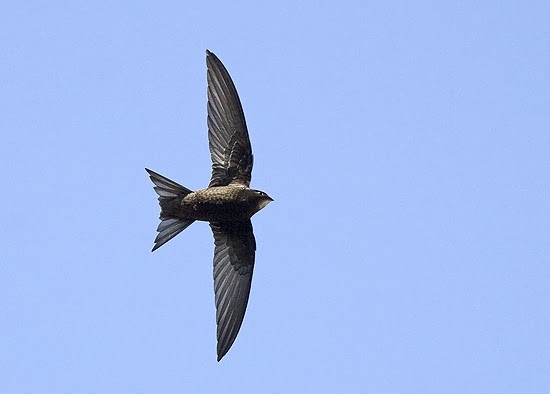 No other bird spends as much of its life in flight. 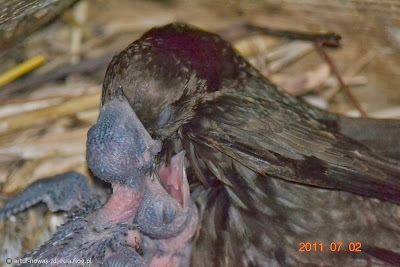 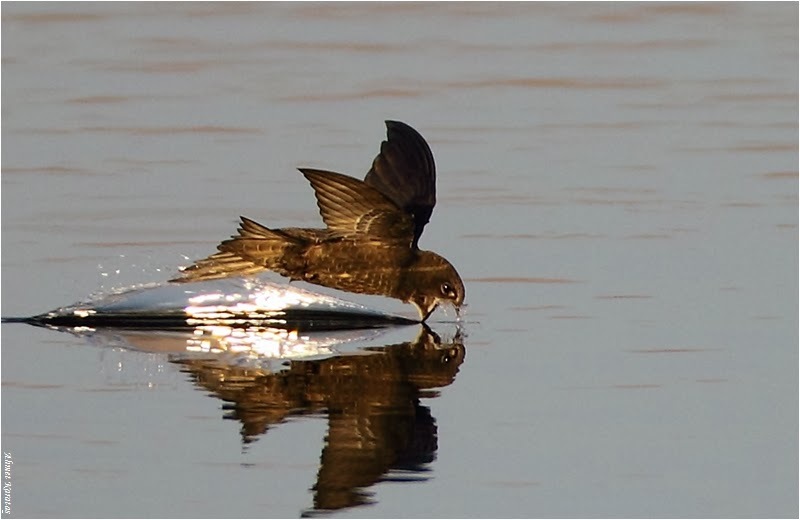 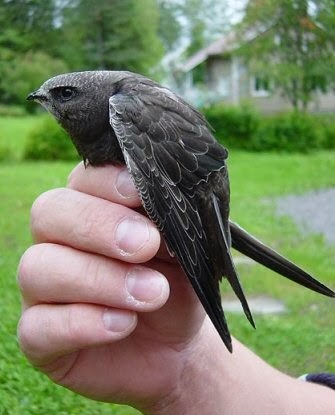 Feeding parties can be very large in insect-rich areas, such as wetlands.Common Swifts are migratory. 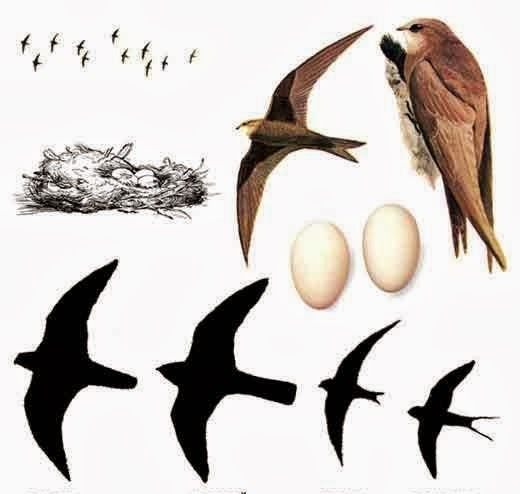 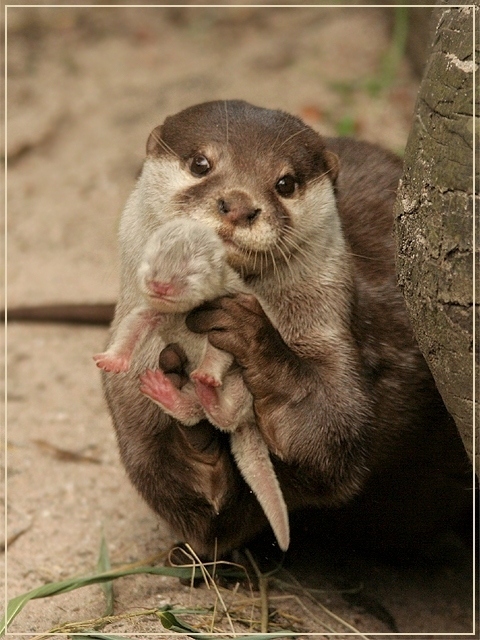 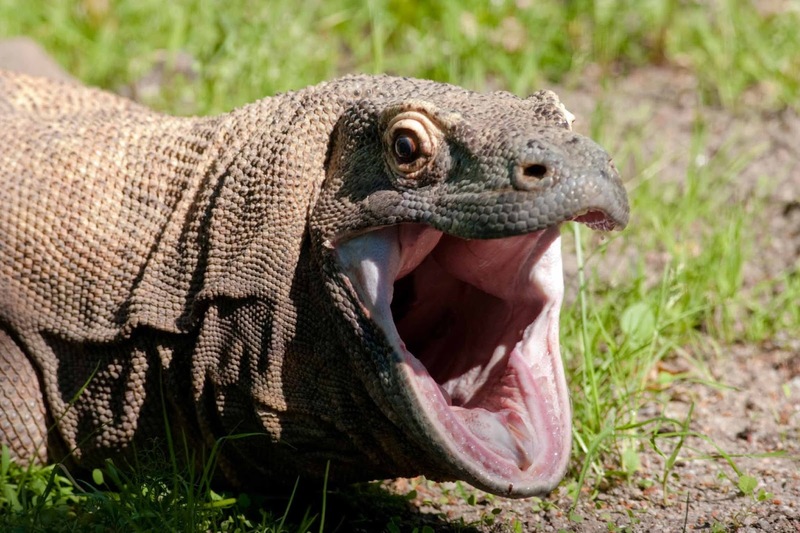 Their summer breeding range runs from Spain and Ireland in the West across to China and Siberia in the East. 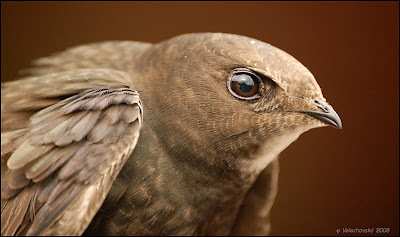 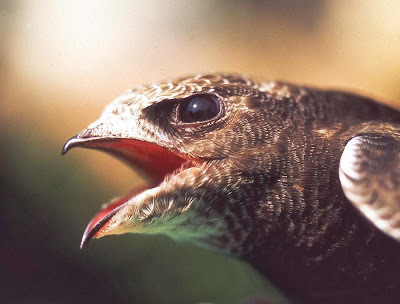 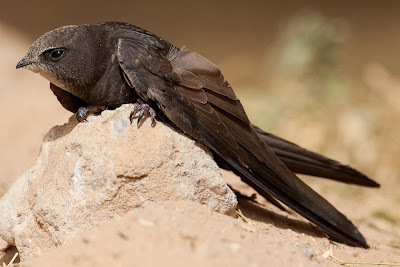 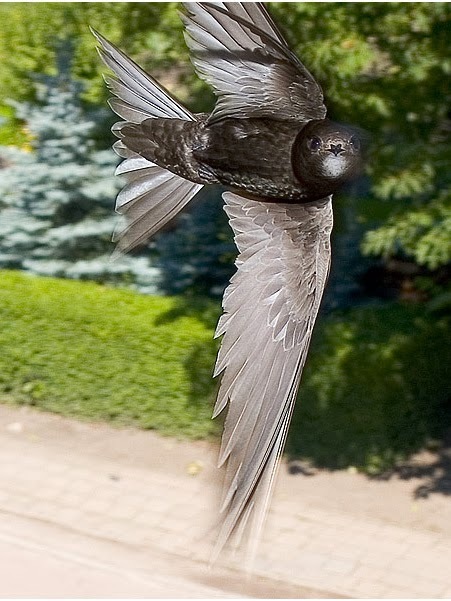 Common Swifts do not breed on the Indian Subcontinent. 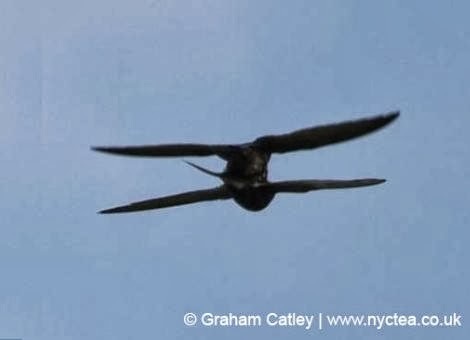 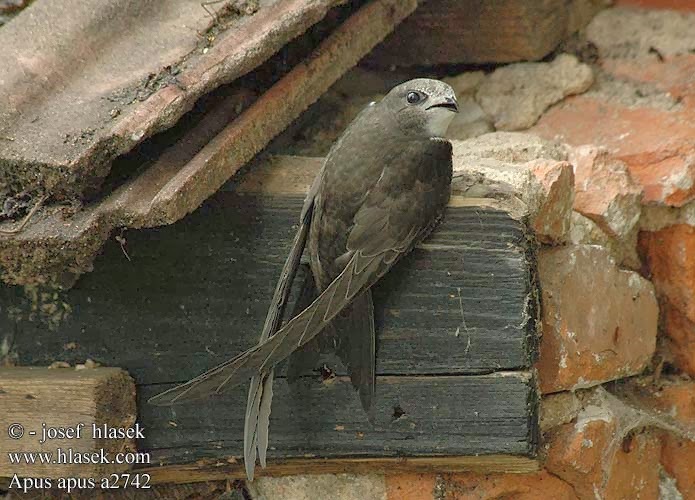 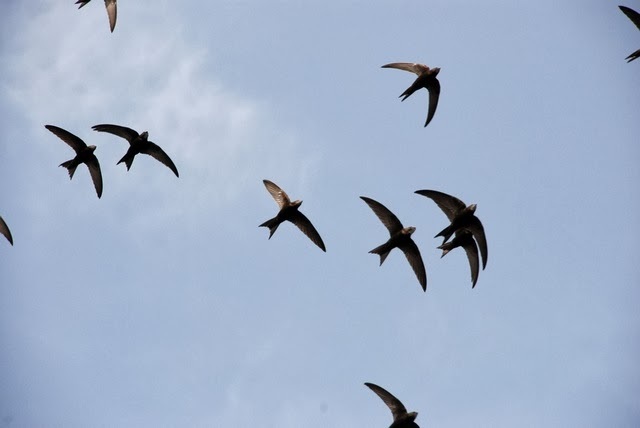 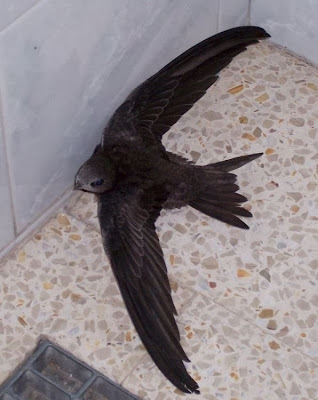 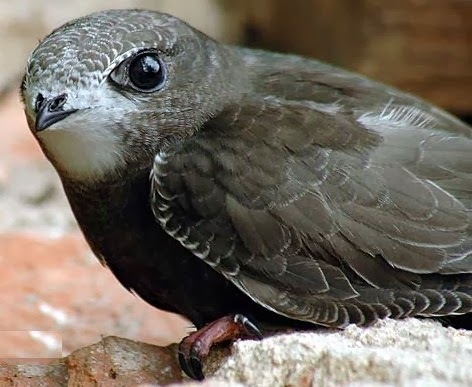 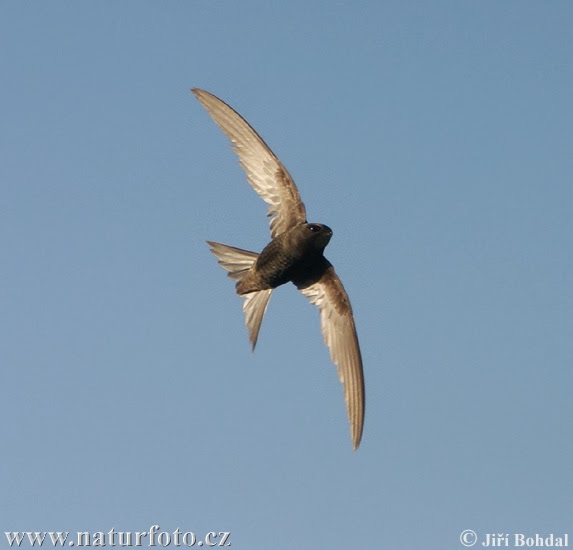 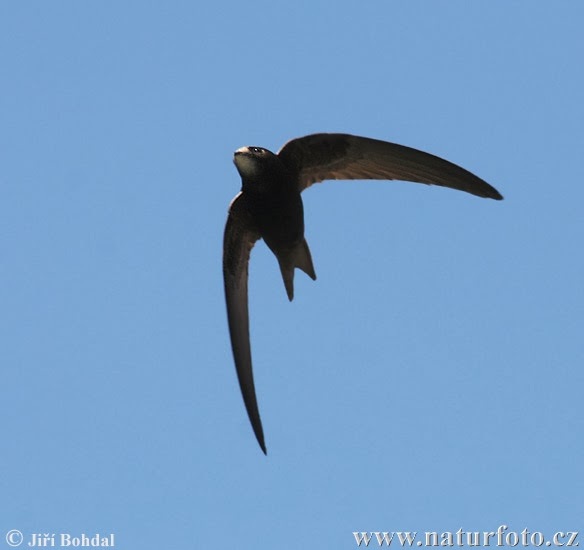 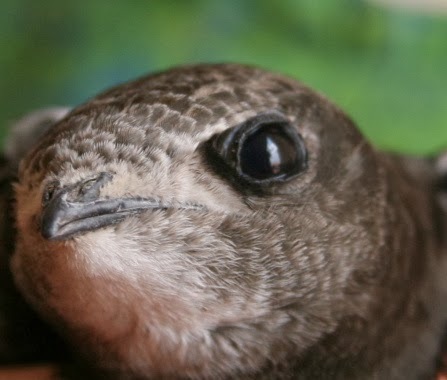 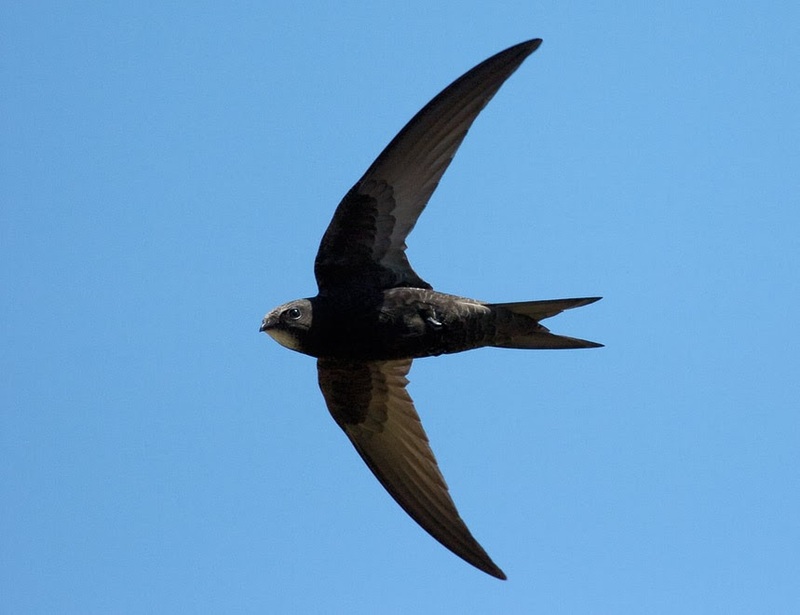 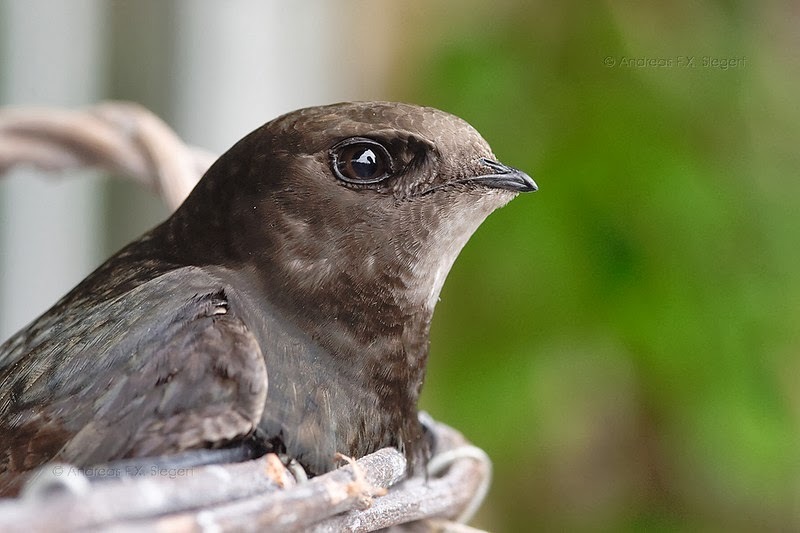 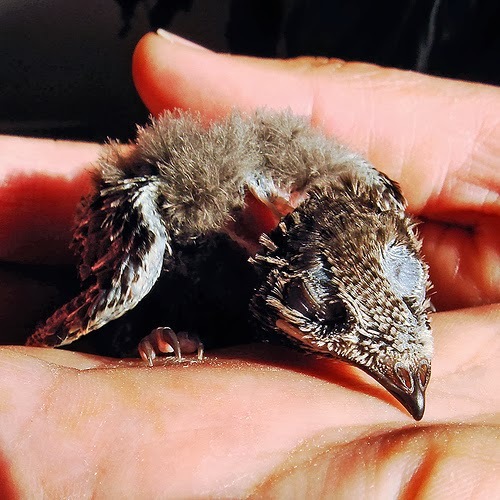 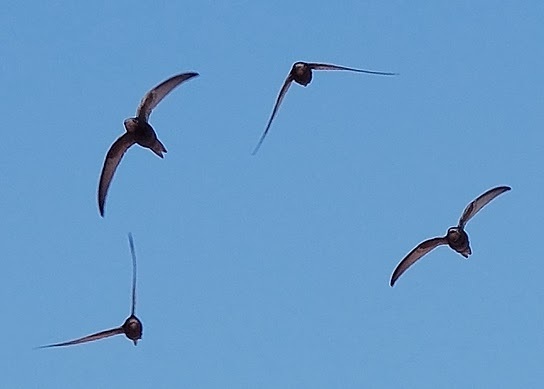 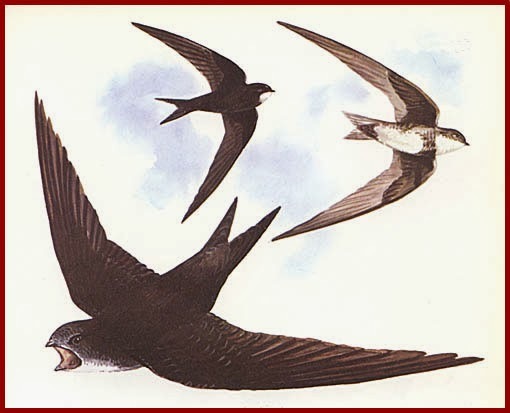 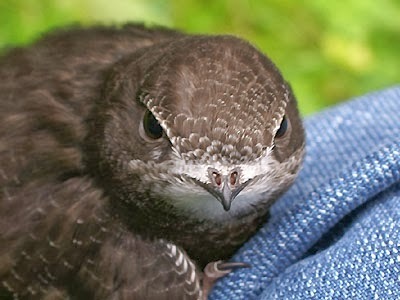 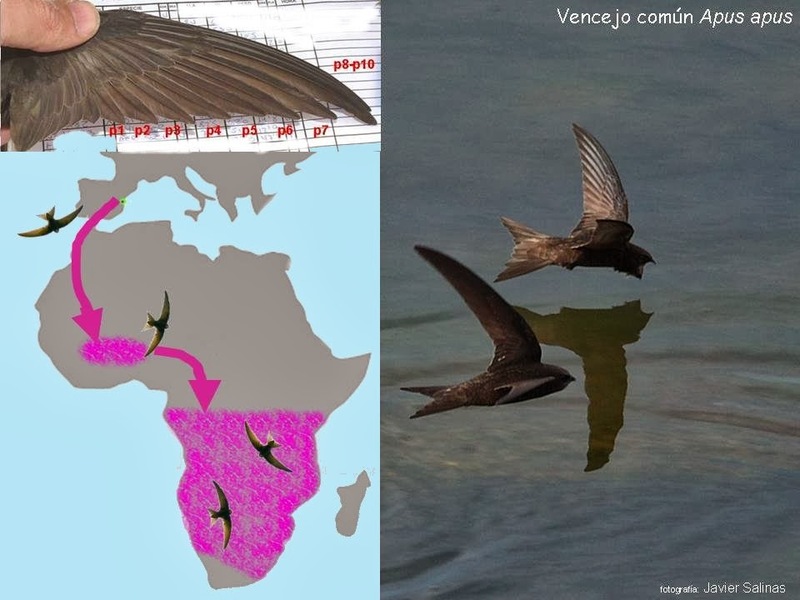 Subjects of a geolocator tracking study demonstrated that swifts breeding in Sweden winter in the Congo region of Africa.